Another mistress of spices of the South, dominated by Arab and European influences. 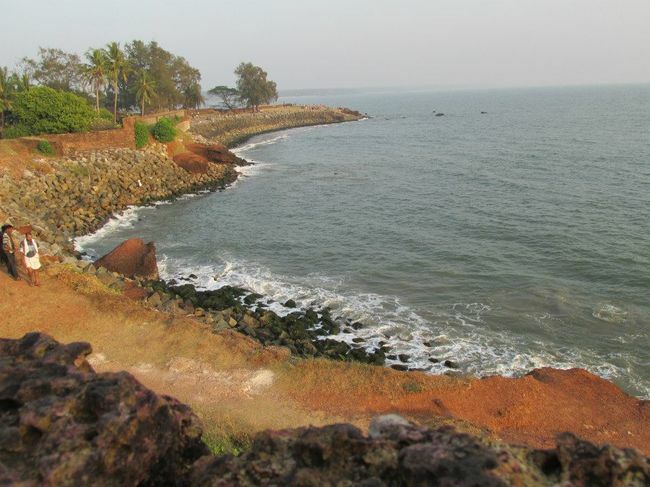 The city's main attractions are Kappad Beach, Kozhikode Beach, Mishkal Mosque and Tali Temple and Beypore Beach. Nature lovers will enjoy solace and silence at Payyoli Beach, Tusharagiri Falls, Kozzhippara Falls, Thikoti light house and Peruvannamuzhi Dam, while Pazhassiraja Museum and Art Gallery cater to art and history enthusiasts with its brilliant artefacts and paintings. If you are interested in buying pottery, sculptures, murals and ornaments, Sargaalaya is the place where skilled craftsmen display and sell such items. Mananchira Square, built by the Zamorin during their reign, consisting of a serene park and pond, is perfect to relax in the evening after a tiring day of sightseeing, while a walk in Janaki Forest offers a serene experience amidst its dense trees and their taciturnity. For a taste of local cinema try out the old school Radha Theatre, a pre-independence era theatre which plays local movies everyday. Places such as Kingsbay, Bombay Restaurant, Dhe Puttu, Salkram and Hut and Bun Club are famous for non-vegetarian, vegetarian and bistro dishes.